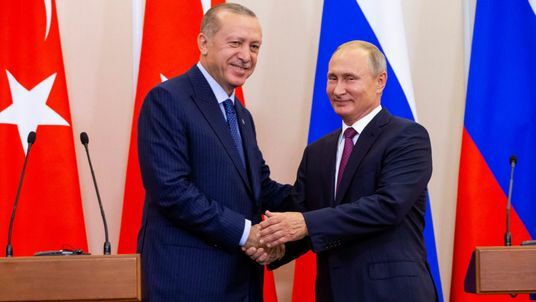 Vladimir Putin has said the Syrian government will allow a demilitarised zone around the final rebel stronghold of Idlib. The Russian president said the 15km-20km (9.3-12.4 miles) wide safe zone will be created in the northwest Syrian province by 15 October. He agreed with his Turkish counterpart, Recep Tayyip Erdogan, on the buffer zone during a meeting in Sochi, southern Russia, which lasted more than four hours. Forces from both countries will patrol it and no rebel or government forces will be allowed in it. Mr Putin said the move is supported by the Syrian president, Bashar Assad, whose forces have been strengthening along the province's borders in recent days to try to recapture it after seven years of civil war.